Multiple User Roles per user is a new feature to be officially released soon, however the functionality is now available in Beta, from the Manage Users (BETA). A note re BETA functionality. BETA means new functionality that is functional and can be used, but has not yet been made beautiful (still needs aesthetic design attention) and has yet to be fully documented, and publicly announced. Why multiple roles per user ? It make the Management of User Roles easier and more flexible, particularly when there are many Custom Roles and you wish to give individual users a mix of Roles in order to fine tune what each user can access. Once your various User Roles are created (see this article). Click View Details, then click the Edit button top right. Note: When a user has multiple User Roles, the Abilities of each Role have a hierarchy, and the higher (or more powerful) ability will override the lower power ability. See http://help.brandkit.io/managing-users/user-role-abilities. e.g If a user has the Staff Role with the ability to Request Assets, and also has the Manager Role with the ability to Download Assets, the higher powered Ability of Download Assets will be available to the user. A common use case for using Multiple User Roles is in the case where an Account has say multiple resellers and multiple product lines, but only certain resellers have access to each product line. 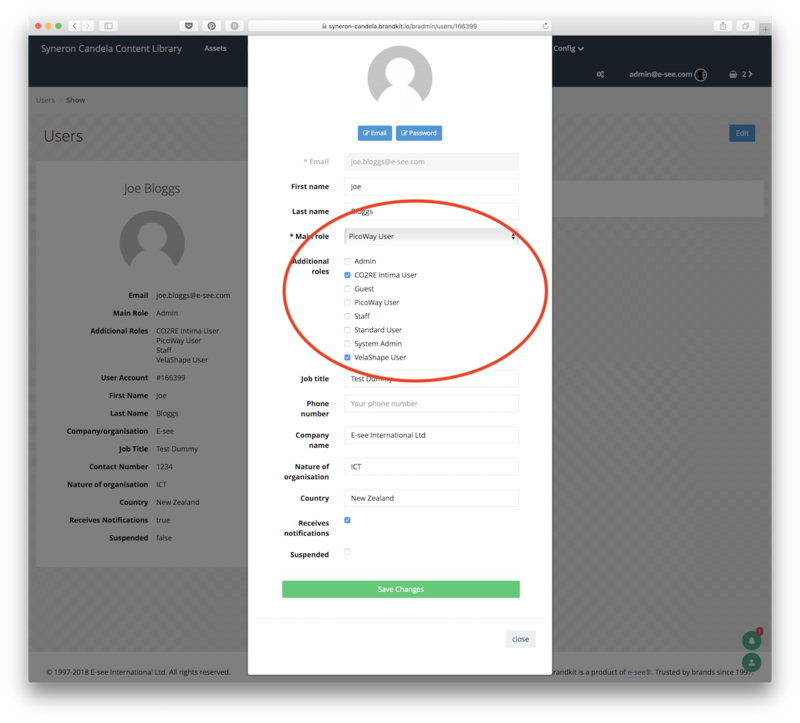 Now you could allocate a User with Multiple Roles in order to manage their Access. Bob has the role of Product Line X Reseller & Product Line Z Reseller and so can access only those Products, and can Request Assets for either product line. 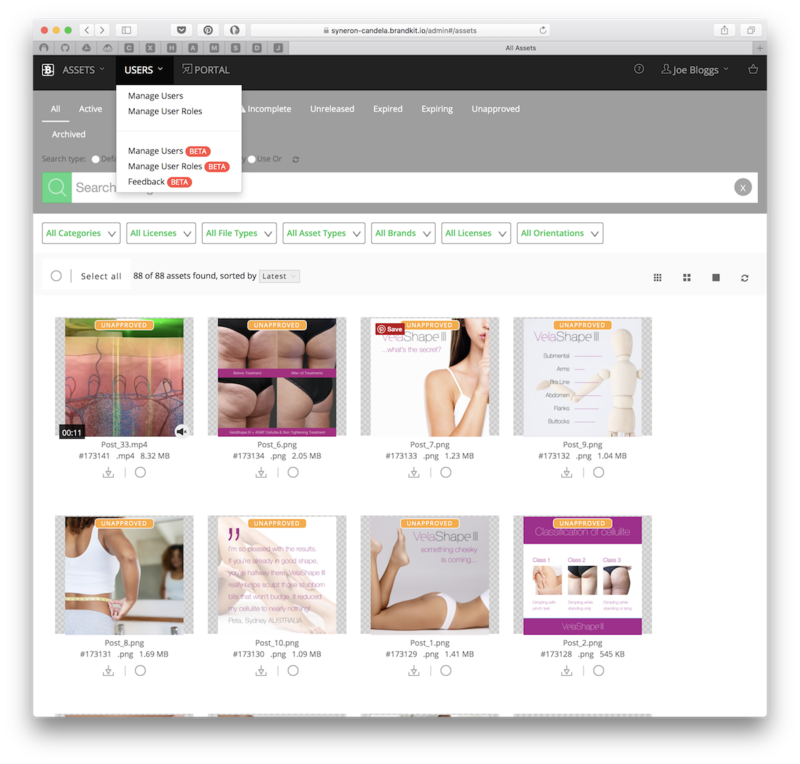 John has the role of Product Line Y Reseller & Product Line Z Reseller and can access only those products, and can Download Assets for either product line. As BETA functionality, by definition we have not yet finished the feature, we would love your feedback. Happy to have suggestion on how we can improved functionality, documentation, design layout, etc. Don't be shy.